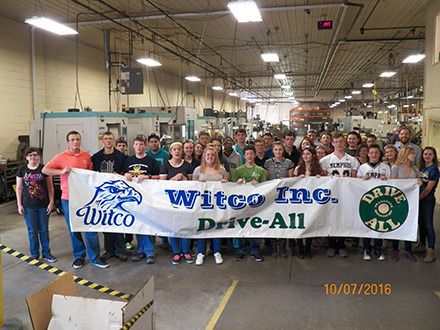 Manufacturing Day 2016 Memphis High School | Witco Inc.
Witco Inc. hosted sophomores from Memphis High School on Friday, October 7, 2016 and Capac High School Seniors on Wednesday, October 19, 2016 for Manufacturing Day 2016. 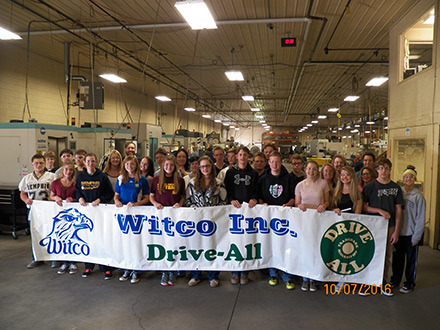 The students learned what careers are available in the Manufacturing Industry. 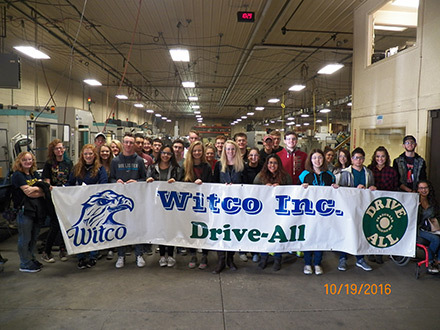 A tour of the facility was given to the students with demonstrations of the various job functions within a manufacturing environment. 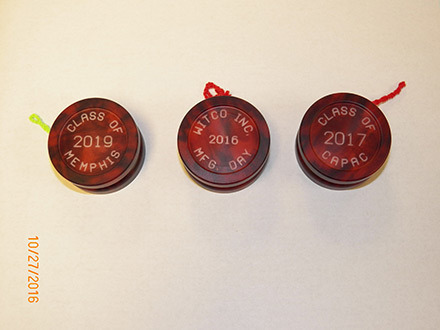 Each student received a yo-yo which was manufactured from plastic bar stock and decorated using our newest service; Kolorfusion. The students also observed the processes used to manufacture the yo-yo's on various machines.